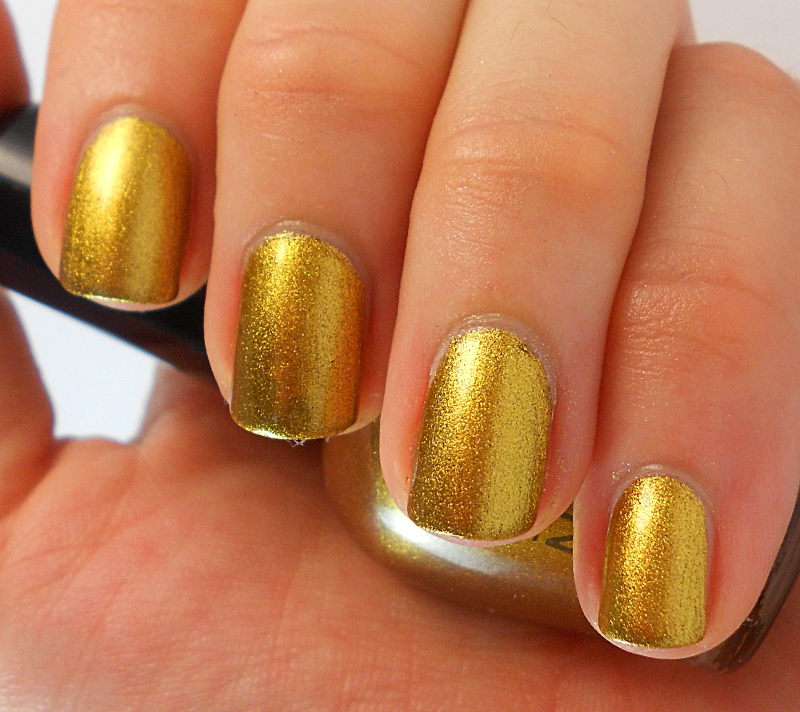 This is two coats of Gold Digger. 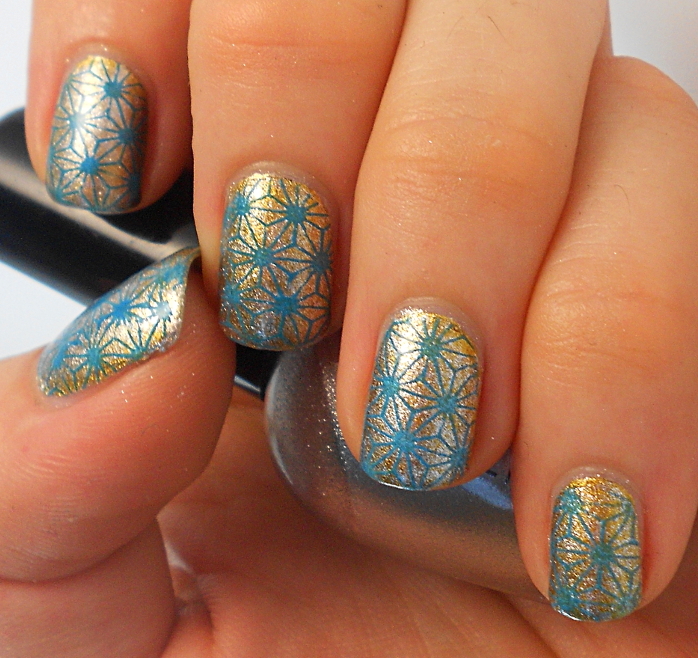 Most golds and yellows really don’t compliment my skin tone, so I rarely wear them – I bought this one especially for stamping. Once it was on, though, I actually liked it. I doubt I’ll start wearing gold all the time, but it didn’t make my skin look terrible and it’s really a great colour. Okay, so my skin might look a bit red, but I expected much worse with a colour like this. So it gets two thumbs up from me! I really love this! 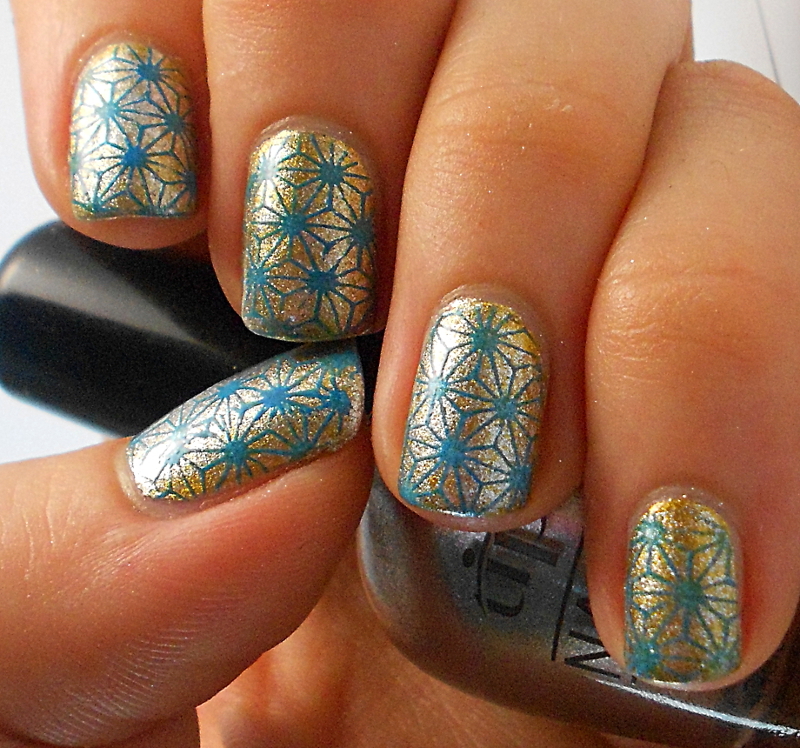 I love that stamping design too!! Love this colour mix so much!! 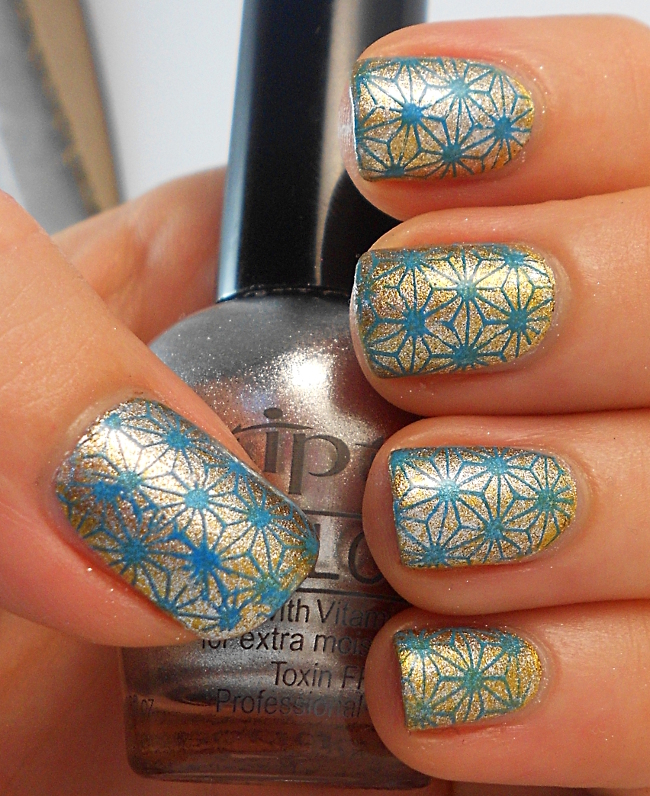 First of all, Gold Digger looks gorgeous on you! Secondly, armour plate over gold digger is amazing!!! Lastly, LOVE this!! 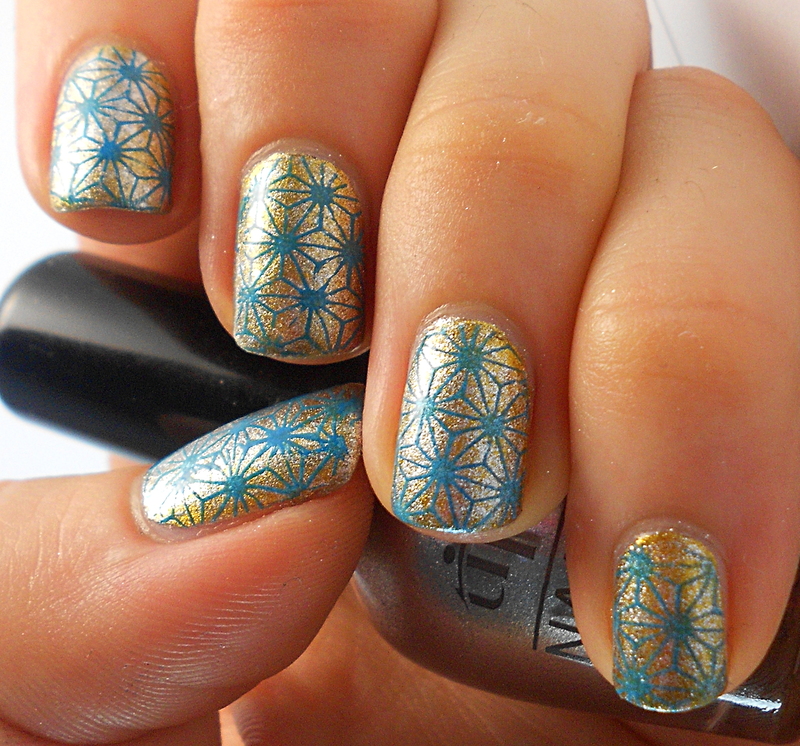 That stamping is perfect. Great colour combinations!